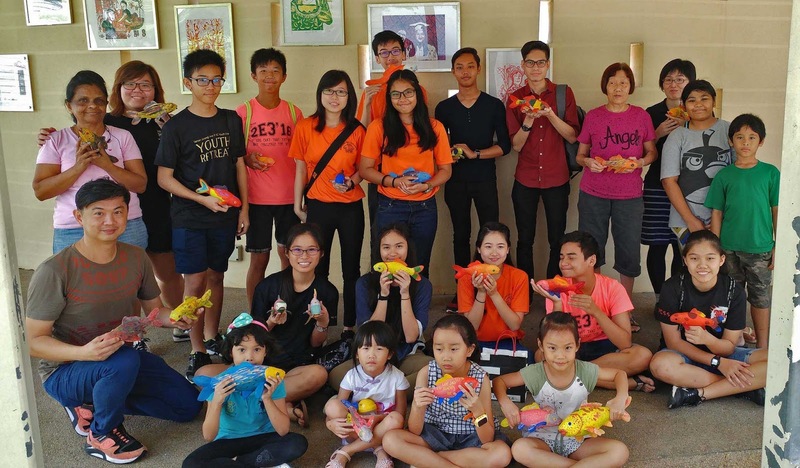 The installation sculpture features 99 fishes created individually by the participants of THK Seniors Services and the Zone E Youth Chapter. 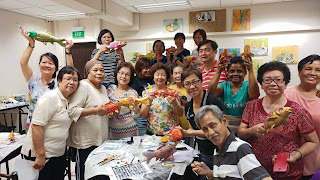 The whole engagement is done in 4 community sessions where the artist introduced different painting techniques and colour mixing practices with a comprehensive design process learning. 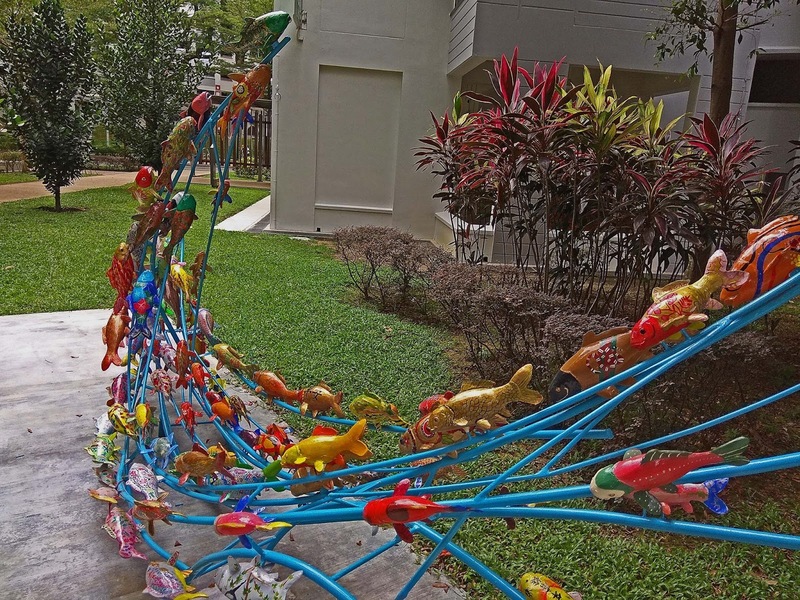 Each fish is expressed as a moulding of a creative self that are uniquely different, talented and trained in an owned discipline. 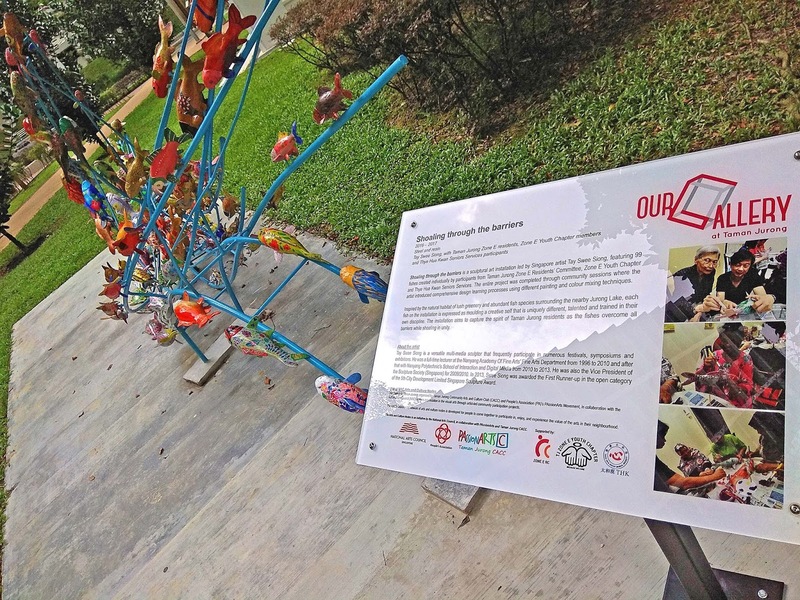 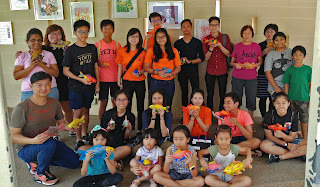 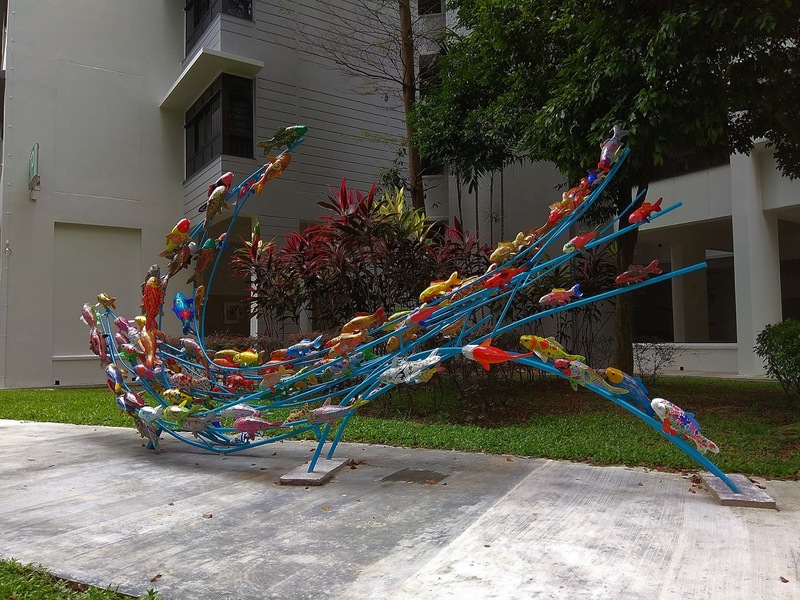 The sculpture is capturing the spirit of Taman Jurong residents as the fishes are overcoming all barriers while shoaling in unity. 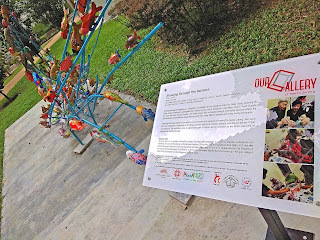 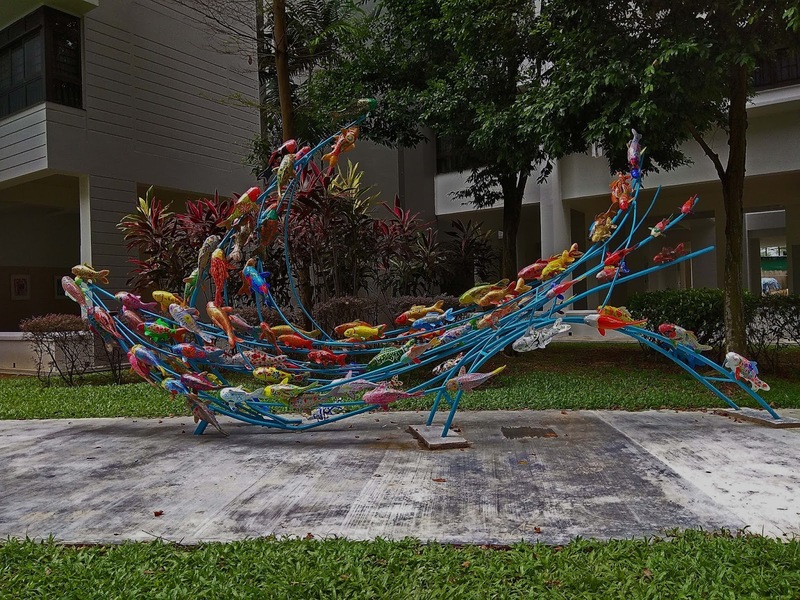 The sculpture is located at Blk 337D Tah Ching Road. 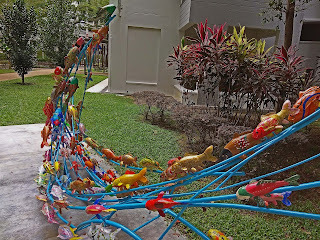 Surrounding the nearby Jurong Lake is the natural habitat of lush greenery and an abundant species of fish wildlife. 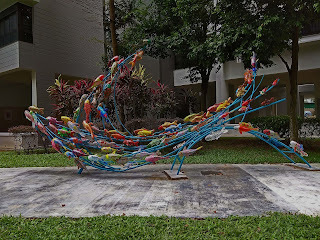 This enhances the recreational spaces for art which forms the inspiration for the artwork.